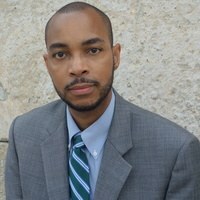 Melvin L. Butler is an Associate Professor in the Department of Musicology at the FROST SCHOOL OF MUSIC. He specializes in music and religion in Haitian, Jamaican, and African American communities. Dr. Butler’s research explores the cultural politics of musical performance, national identity, and extraordinary experience. He also examines discourses of cultural authenticity and spiritual power that inflect congregational practice. At the heart of his scholarly work lies a critical reconsideration of how spiritually charged music making is embedded in processes of boundary crossing, identity formation, and social positioning throughout the African diaspora. An acclaimed saxophonist, Dr. Butler has performed with Brian Blade and the Fellowship Band for over two decades. He is featured with this ensemble on several albums, including Brian Blade Fellowship (Blue Note 1998), Perceptual (Blue Note 2000), Season of Changes (Verve 2008), and the Grammy-nominated Landmarks (Verve 2014). He has worked with several other jazz artists as well, including Betty Carter, Joey DeFrancesco, Eric Essix, Christian McBride, Jimmy McGriff, Dr. Lonnie Smith, and Reuben Wilson. Dr. Butler has also toured the U.S., Europe, and the Caribbean with celebrated Haitian band Tabou Combo, with whom he recorded three albums—Why Not? (1997), 360 Degrees (1997), and Sans Limites (2000).